Gaill's Barber Shop in Spring Lake, NC has been serving Fort Bragg, Pope AFB, Cameron, Sanford, Spout Springs and Spring Lake, NC since 1994. Many of Gaill's Barber Shop haircut, head shave and beard shave customers are Military, Civilians, Police Officers, Business Owners, and many repeat clients of Gaill's Barber Shop for the past 26 years since Gaill opened the business in Spring Lake, NC. 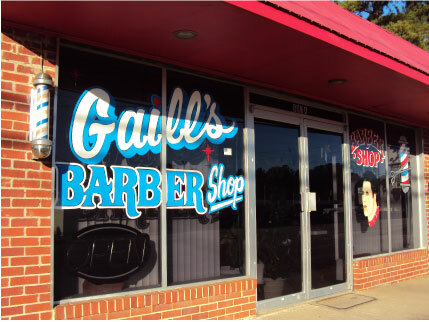 Visit Gaill's Barber Shop at 803 N. Main Street in Spring Lake, North Carolina or call (910) 436-4113.